If you have any suggestions for SHORT but memorable quotes that you'd like to see made into flair, let me know, and I'll see what I can do. Today is the two-year anniversary of the launch of Outlandish Observations! I started this blog for two reasons: to learn about blogging, and to provide a central repository of OUTLANDER-related news and information, particularly for people who don't visit the larger fan-sites like LOL and Compuserve. And this blog has succeeded far beyond anything I could have imagined two years ago. I am still having a lot of fun with it. I've learned a lot about blogging, and I'm very, very gratified by all the kind comments I've received from those of you who visit here. I'm delighted that the information I post here has been useful to so many people! The number of visitors to this site keeps growing steadily, which is also very gratifying! (In the past month, it's averaged almost 240 visitors per day.) And I was thrilled to see in recent days that the Outlandish Observations page on Facebook now has more than 200 followers! In celebration of this milestone, I've set up a Linky list. Please leave a link here if you have a blog or web site -- whether it's related to OUTLANDER or not! Here are my first attempts at creating OUTLANDER flair. Again, for those of you who aren't on Facebook, sorry for the digression! I can't help it, I think this is a lot of fun. And for those of you who are wondering, the "coup de foudre" quote comes from ECHO, chapter 68, "Despoiler", p. 602 in the hardcover. It's one of my favorite Jamie-moments in the whole book. I've just been playing around with the Pieces of Flair application on Facebook. You can display "flair" (buttons with pictures or slogans on them) on your Facebook profile. The "Outlandish Observations" Facebook page is here, by the way, if you're interested. And if you like these, check out Diana Larson's wonderful (and very addictive!) 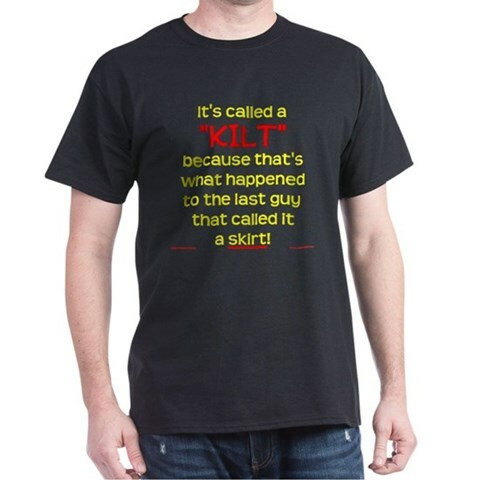 "Outlandish Gifts" Facebook app. Details here. Apologies to those of you who aren't on FB, but I couldn't resist sharing this! The contest: enter a 250+ word essay on one of the topics listed below. The winner: will be chosen at random from one of the essays entered. The prize: a signed ~ and personalized! ~ copy of The Exile! 2. Which is your favorite book? Why? 3. What is your favorite scene? Why? 4. Why do you love the Outlander Series? 5. What is a question you most want answered? Why? 6. How has Outlander changed the way you view your world? 7. How has Outlander changed your life? If you have questions about the contest, please post in the thread on OBC, not here. I am not affiliated with their site, I'm just passing along the information for those who may be interested. Good luck to those of you entering the contest! Here's a very interesting interview with Jeff Woodman, narrator of the Lord John audiobooks. Thanks so much to Laura P. on Compuserve for the link! I never would have known this interview existed if she hadn't mentioned it. Q. I would think that keeping voices consistent would be a challenge, especially with a book that has a lot of different characters. Is there a trick? Does it just come naturally? Jeff: It's easier than you'd think, because ultimately you're not playing voices, you're playing characters. [....] If you can latch onto character qualities and act them consistently, your listeners will know who's speaking without major changes in pitch or vocal quality. How does he make the characters come alive for the readers? Jeff: First of all, it has to be on the page. If the author hasn't written clearly delineated characters then you have to resort to vocal "tricks." "OK, since the characters are undefined and there's nothing to act, this guy is breathy, this one's nasal, this one's from Massachusetts, etc..." If the author hasn't done his job, I feel free to take whatever liberties necessary to do mine. There's a wonderfully accurate saying in the audiobook world, "A good book needs a good narration, but a bad book needs a great narration." How long does it take to do one of these books? Jeff: I generally put an hour in the can in just under 90 minutes, so a 10 hour book will usually take me two full days in the studio. And I suppose that means the Lord John books take something like 2-3 days each to record. Q. Do you have a kind of book that you prefer working with? Maybe one that makes you more happy to go to work than others? Jeff: I like books that are heavy on dialogue, because a really well written dialogue scene is so much fun to play. [....] When I'm going in to record one of Chris' Ceepak stories, I can't wait to get in there and play Danny! Chris has written the characters so well, and writes such great dialogue scenes, that my job is actually fun! Ditto any of Diana Gabeldon's [sic] Lord John series. I would really encourage you to go read the full interview for yourselves. 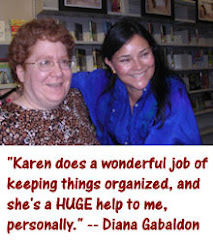 And if you haven't seen it already, check out the two-part YouTube interview from 2009 with Davina Porter, narrator of the OUTLANDER unabridged audiobooks. I thought it was really interesting to compare the way the two of them speak about their work. 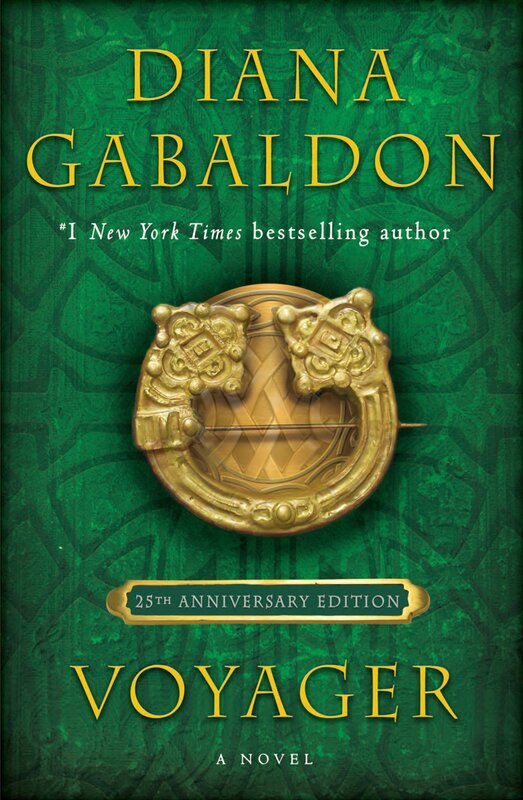 If you have not listened to any of the OUTLANDER or Lord John audiobooks, I highly recommend them! Look here for some of my thoughts on the subject. 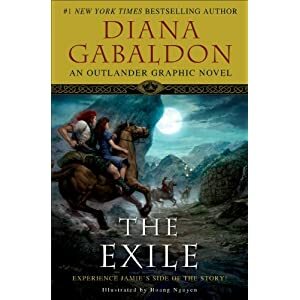 Some of you may have noticed that I've added a countdown clock to this site, counting down the days until THE EXILE (the OUTLANDER graphic novel) is published on September 21. This is definitely an "unofficial" countdown clock, not sanctioned by Diana Gabaldon, her publisher, or anyone else. I just thought it might be fun. 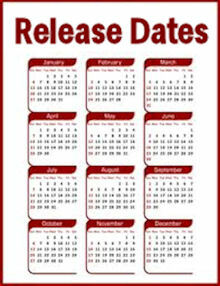 It's set to expire at midnight ET on September 21. Let me know what you think of the countdown! Here's a very interesting BBC documentary from 2007 about the history of the Highland Clans. Thanks very much to Liz Raney Horn on Facebook for letting me know about this! Apologies to those of you who may have seen these before. They're completely new (and very interesting!) to me, at any rate, and I thought others might also want to know about them. Here are some examples of science and technology mentioned in Diana Gabaldon's books. I hope you find these interesting. 2) Printing press, James Ballantyne and Company, Edinburgh, 1796. 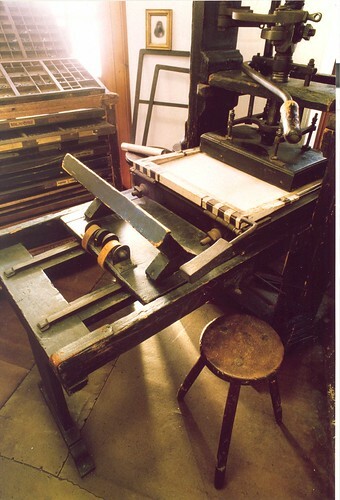 This is maybe not exactly what Jamie Fraser's printing press looked like, but I like to think that it's pretty close. 3) White phosphorus was used to make matches, starting in 1831, but it was so toxic that its use was banned by many countries by the end of the 19th century. Here's a very interesting video showing what it can do. 7) "Zugunruhe" - the restlessness of birds preparing to migrate does indeed have a scientific basis, as shown by a 2006 study. And here is an experiment that sounds very similar to the one Jamie describes to Claire in THE FIERY CROSS (Chapter 107, "Zugunruhe"). The electric eel generates its characteristic electrical pulse in a manner similar to a battery, in which stacked plates produce an electrical charge. In the electric eel, some 5,000 to 6,000 stacked electroplaques are capable of producing a shock at up to 500 volts and 1 ampere of current (500 watts). Such a shock could be deadly for an adult human. I was browsing on Amazon just now, and decided to check the page for SONGS OF LOVE AND DEATH (the anthology due out on November 16 with Diana Gabaldon's story about Roger's parents, "A Leaf on the Wind of All Hallows", in it) to see if the cover picture had been updated yet. It hasn't, but I did notice that they are now showing the Kindle edition of the book available for pre-order. I have no idea about the availability or pricing for other e-book versions. And no, I don't actually own a Kindle. <g> Just passing this information along, for what it's worth. 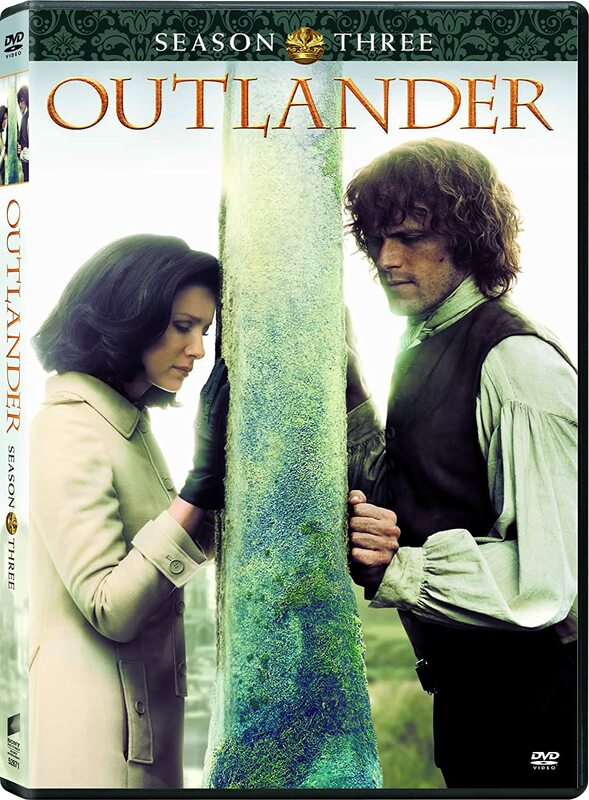 I got my "OUTLANDER: The Musical" CD in the mail today! The Way That Life Was - I like this one. As Diana commented on her blog, they've picked up on the idea that Frank and Claire are not the same people they were before the war. "Now we're different people to the ones that marched away", etc. The singer who played Frank has a nice voice, IMHO. Falling - I love the instrumentals in this song, which capture very well the eerie, supernatural, frightening feeling of going through the stones. I am Ready - Terrific song, one of my favorites in the collection. 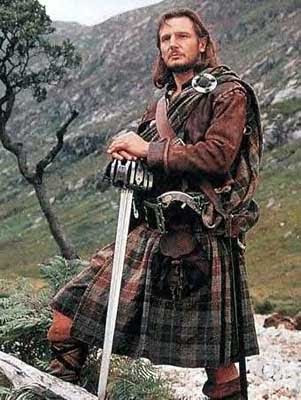 I like Jamie's Scots accent ("my ain clan", etc. ), and I think the lyrics reflect his personality extremely well. The Message - Dougal's line, "nay at this time", made me laugh. And that last line, "to protect you from that Black Jack, I'd lay down my very life" made me shudder, knowing what's coming later. Could I Surrender My Heart - This is a very sweet song, maybe my favorite of the whole album. I love it! I imagine this taking place at that moment where Claire comes face-to-face with Jamie in his Highland finery, immediately before the wedding. Is tu fuil.... - I love it! I know I've said it before, but it bears repeating. <g> This is a keeper for sure, and perfectly captures that moment. Just lovely. Such a Fool - I like this song very much because it mirrors my own reaction on re-reading, when I always want to grab Claire and give her a good shake ("You IDIOT, can't you see he's desperately in love with you?!") "How could I have been such a fool", indeed. <g> I love that line about "that giddy Laoghaire-girl", too. Farewell - I liked the reprise of the "I am Ready" song, especially Claire's part. Nice touch to include Jamie's line from the book, "I prayed all the way up that hill" etc. Say the Words - I was not prepared for the abrupt transition from the light-hearted teasing and humor of the last song, to the heartbreaking sadness of this one. Wow. Very intense. It really captures the essence of that Wentworth experience, without being at all graphic about it. (I was half-expecting to hear the crack of a whip somewhere in the background, but glad they chose to focus on the psychological aspects of the ordeal instead.) The idea that BJR kept the image of Claire always before him, Jamie's stubborn refusal to say "I love you"....everything in this scene "feels" just right to me. Well done! Ellen's Son - I'm sort of ambivalent about this one. MacRannoch's part was well done, very touching, but IMHO not much of Claire's personality comes through in this song. She's begging for help to save Jamie's life, the situation is desperate, and yet the music is so slow-paced that you don't really get the sense of urgency at all. And I don't want to nitpick, but it isn't a "castle wall", of course, it's a prison wall. Safe - this song captures Claire's feelings very well, I think. And I didn't mind the slow pace of this song at all, unlike the previous one, because this one has the feel of a lullaby to it. The Right Road - I think Claire's voice is MUCH too high-pitched at times in this song, but the lyrics are very good. "I've no fear of what lies ahead....We'll live as one, the two of us, and find the right road through all we face." I like that very much. This song touches on another of those major themes running through the series (and one that appeals to me a great deal): that it doesn't matter what lies ahead, as long as they have each other, they will get through it. The Library of Congress is running a poll of favorite authors who have appeared at the National Book Festival in Washington, DC. As of right now, Diana Gabaldon is in the lead. <g> (You can see the results here.) Please take a moment to vote, and help spread the word to any other OUTLANDER fans you may know. Thanks to Lynne Perednia on Compuserve for the link! The official web site for "OUTLANDER: The Musical" has been updated to include a gallery of photos from the recent performance in Aberdeen, Scotland. So, have any of you heard the CD yet? (I'm still waiting for my pre-ordered copy.) If you have, are there any songs you particularly like? Click here to see her comments.